No McDonalds? Run Over Your Boyfriend! THREE Times! 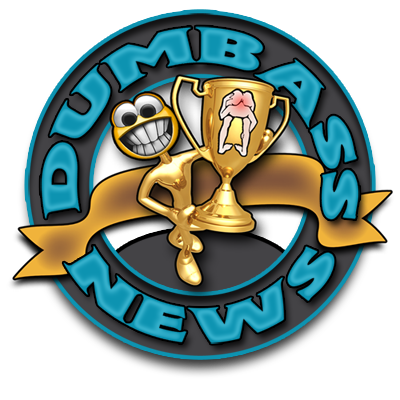 Today's Dumbass News story is about dining out. I'll get to the meat of it in a second. I don't eat out much. I am disabled. Therefore the Gubmint of These United States is benevolent enough to each month return to me a small portion of the money I sent to them each payday over the last 40+ years. This is called "Fearless Leader Gets Fucked Without Getting Kissed", or more precisely a "Fixed Income". Mrs. Fearless Leader is a great cook. See for yourself on her YouTube Cooking Show Thingy. I have two young children who act like monsters when I allow them out of their cages and into public. I no longer have bail money for thrashing my kids for acting like Little Godless Heathens every time we go out to eat. Some restaurant employees have no sense of humor when it comes to thrashing children in front of a dining room full of hungry people. It's expensive as hell to take my family of four out to eat. 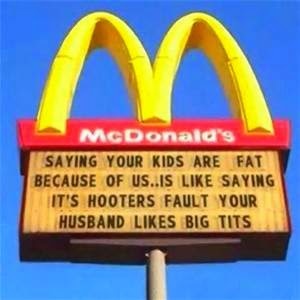 Just going to McDonalds for a night of Family Dining and Child Thrashing costs about $40. A guy in Kingsport, Tennessee was taking his girlfriend out for a nice supper. He had a place to eat in mind and so did she. The Lady, Crystal Brooks, wanted to go to McDonalds. Her boyfriend had other ideas. This is when The Fight started. While driving down a busy street, Crystal got all pissed off and somehow forced The Boyfriend to the side of the road. During the melee, The Boyfriend evidently got out of the truck. This was not a good idea. Crystal then managed to get behind the wheel. Crystal, her heart still set on a Quarter Pounder with Cheese, no onions, with extra pickles and a portion cup of sweet and sour sauce on the side, had only one avenue of recourse. She revved up the truck and ran over The Boyfriend! While this may seem a bit extreme, it is socially acceptable in Tennessee to plow your date over with a Ford Truck if he or she refuses to take you to the eatery of your choice. But only if you run him/her over just once. Running him/her over twice is considered rude. Three times is considered a felony. Four times means he's roadkill. And that's satisfactory only when making Freeway Frisbees out of raccoons. 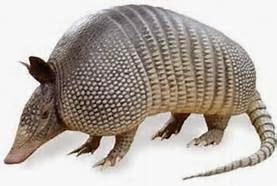 Or armadillos, commonly referred to as Possum On the Half Shell.